When Mr Huseyin decided that he wanted to embark on his third self build project he turned to a trusted company that he had used for his two previous developments, Scandia Hus. Mr and Mrs Huseyins relationship with Scandia began when they first met with Derek Dawson approximately 10 years ago and liked the honest responses that they were given to their questions and the level of knowledge which he showed. The quality of Scandia’s timber frame and service also impressed the couple. 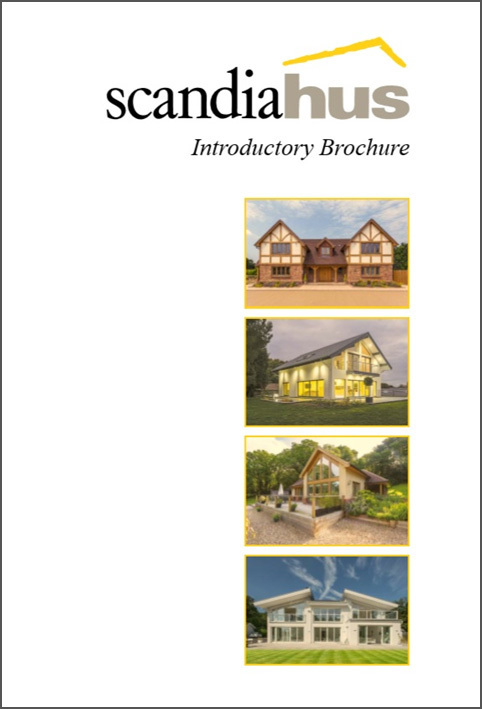 Their decision to choose Scandia was cemented with a visit to a self build exhibition where they took the opportunity to speak to other exhibitors regarding the company. 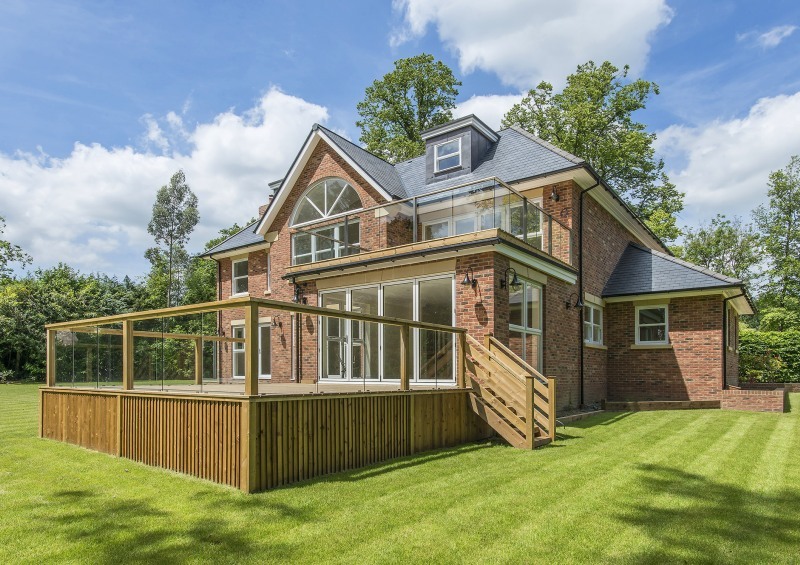 The first project for Mr and Mrs Huseyin came about when the couple decided that they wanted to become mortgage free and undertake a self build development to achieve this. 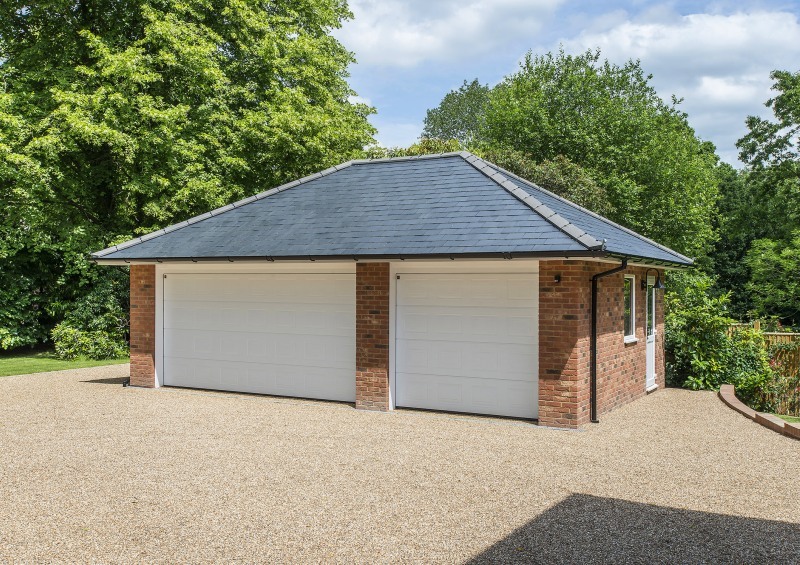 The couple set about the process of applying for planning permission to knock down their existing property and after six attempts with assistance from Scandia they succeeded and built a chalet bungalow in its place. Whilst the construction of their new home took place Mr and Mrs Huseyin moved into rented accommodation. Not put off by their previous experience of a lengthy planning process, Mr and Mrs Huseyin decided to start their second project. On this occasion the aim of the project was to build a house which they would sell rather than becoming their family home. When a plot with a bungalow on came up for sale Mr and Mrs Huseyin decided that it would be the ideal plot for their second project. During the construction of their Tudor inspired house the couple lived onsite in the existing property and after the building work was completed demolished the bungalow, using the former property’s rubble to build the patio area for the new house. Following a change of plans Mr and Mrs Huseyin lived in the property for two years before selling. 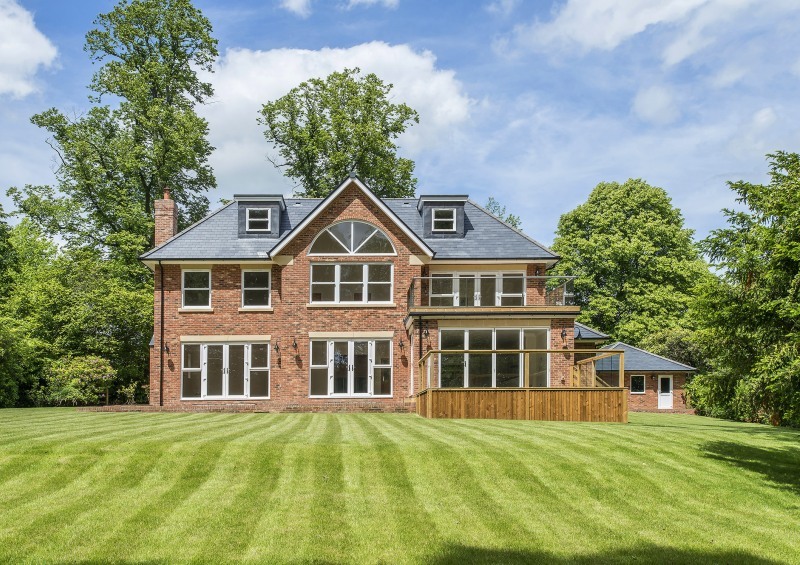 After indicating that they wanted to build their third timber frame home in the area of Dormans Park, West Sussex Mr and Mrs Huseyin were delighted when Scandia-Hus sourced a plot for them in this exclusive estate. Having researched the area and market Mr Huseyin decided to build a Georgian style home which he hopes will ensure a premium price. The planning for this development went smoothly and in terms of budget they will come within the contingency level set. When asked about his favourite part of the Dormans Park house, Mr Huseyin described the kitchen. He likes the variety of materials used in the room, from the porcelain floor tiles to the glossy units, to the wood used in the breakfast bars and floating shelves and glass which floods the room with light as well as giving occupants a view of the private rear garden. In terms of advice for would be self builders, Mr Huseyin advises to do plenty of research beforehand whether this is visiting exhibitions, reading trade magazines, visiting homes which suppliers have already built or all three. Another useful tip Mr Huseyin offers is to get three quotes for each part of the build to compare prices and services. Once this project is finished Mr and Mrs Huseyin plan to start two more projects, the first will be a home for them, whilst the second project will be to build a property to sell.